How many political prisoners are there in Cuba? Cuba Archive has published on its website a report entitled "How many political prisoners are there in Cuba?" Following is a summary of the 4-page report (see the report for details and sources). Files recovered from the former Stasi, political police of the communist German Democratic Republic, indicate there were 18,000 prisoners in Cuba in 1965 and 3,300 in 1978. The Mitrokhin archives of the former Soviet KGB has at least one reference of 8,000 prisoners in Cuba in 1974. Cuban researcher Efrén Córdova reports of 19,000 political prisoners in 1967. Former prisoner of conscience Ambassador Armando Valladares that when he was imprisoned (1960 to 1982), the number of "counterrevolutionary" prisoners island-wide was, according to a blackboard at the Castillo del Príncipe prison, 82,000. According to Valladares, his fellow political prisoners estimated that there were at least 200 prisons and labor camps in Cuba. 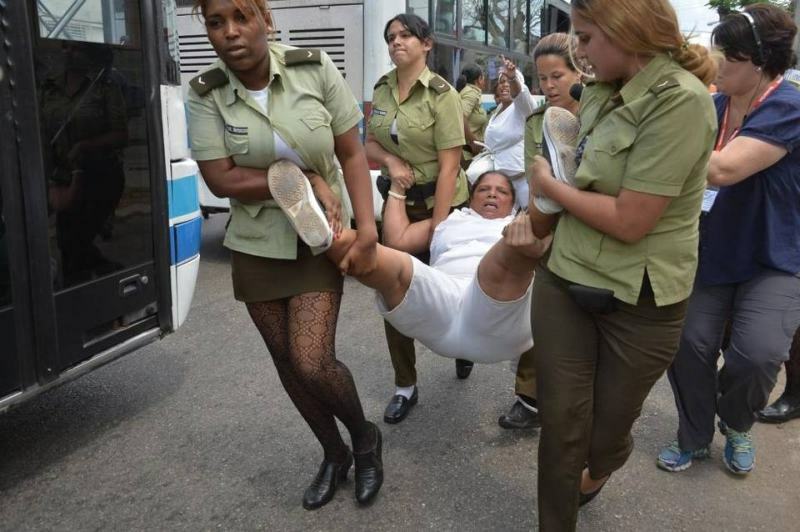 In June 2018, the Cuban Commission for Human Rights and National Reconciliation, CCDHRN, reported 120 prisoners for political reasons as of May 31, 2018. It notes that these individuals are "held in maximum security” -96 are opponents or disaffected to the regime and 24 are prisoners accused of employing or planning to use some form of force or violence to carry out "acts against the security of the State.” The list does not include individuals held in minimum security facilities or labor camps or many thousands of Cubans who are not members of an opposition political movement but are believed to be imprisoned for underlying political reasons yet sentenced and reported otherwise. Given the nature of the Cuban system, the definition of "political prisoner" reflects changing circumstances. Once the mass executions ceased, armed insurrections were defeated, the remaining resistance was mostly exiled, and the massive political imprisonment of the 1960s diminished, the regime was able to institutionalize terror and indoctrination to subdue the population; this considerably reduced direct confrontation with the government. Also, mass migration from the earliest days of the revolution has allowed the most disaffected Cubans to leave the country or devote their hope and energies to finding ways to do so, reducing interest and resources to oppose the regime. It is, thus, not necessary to impose patently political prison sentences. All of the above has allowed for a gradual reduction in the reported number of "prisoners of conscience" or "political prisoners." But, given the refinement of the methodologies to exercise state control, it is essential to understand the political nature -direct or indirect- of many prison sentences and take into account the overall prison population in order to have a comprehensive picture of political imprisonment in Cuba. Estimating the size of Cuba’s overall prison population is also a problem. In 2006, the CCDHRN reported that the country's penal population ranged from 80,000 to 100,000. The same organization reported a considerably lower number as of May 2018, "at least 65,000 to 70,000 people in jail," but did not explain the reasons for the decrease. It also reported "from 150 to 180 high-security prisons, correctional centers, settlements and camps” in Cuba. A detailed list of prisons published around 2008 by the Belgium-based CubaVerdad.com includes 545 prison facilities classified by province. 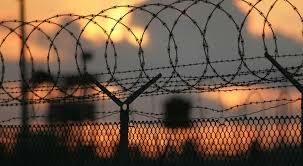 It is unknown how many continue to operate; there are reports that but there are reports that new specialized prisons have been established, such as for forced labor. These numbers, if accurate, would indicate that the CCDHRN estimate is based on a significantly smaller number of detention centers. For its part, in May 2012, the Cuban government officially reported that there were 57,337 inmates in Cuban prisons (additional official statistics have not been found). Considering the difficulties described above and the fact that just during the Bay of Pigs invasion tens of thousands were imprisoned for many days, it can be conservatively and very broadly estimated that at least 500,000 people have suffered political imprisonment at one time or another since January 1, 1959, including those who have suffered short detentions. Comparatively, the number of political prisoners in Cuba before 1959 was much smaller, their sentences were shorter and conditions of imprisonment were very civilized. The accused were also entitled to a full legal defense. During the Batista regime, there were approximately 500 sentenced political prisoners and just 14 prisons in the entire country. Cuba Archive documents deaths in prison during two Cuban dictatorships up to the present. A review of this work, that can only document a minor fraction of the actual deaths occurring in Cuba’s prisons, illustrates the abuses and terrible conditions that all prisoners, common or political, are enduring. See a recent report and the database.